Merry Christmas! This week, Santa came early to give me tickets to watch Disney's "Tron: Legacy" in theaters. I went to see it without reading any movie reviews beforehand so I wouldn't have any preconceived ideas about it. If you haven't watched it, the Internet Movie Database describes the storyline as follows: "Sam Flynn, the tech-savvy 27-year-old son of Kevin Flynn, looks into his father's disappearance and finds himself pulled into the same world of fierce programs and gladiatorial games where his father has been living for 20 years. Along with Kevin's loyal confidant, father and son embark on a life-and-death journey across a visually-stunning cyber universe that has become far more advanced and exceedingly dangerous." Whistle-blower website WikiLeaks, which has been disclosing classified U.S. information, has been in the news lately, and a comment from Navanethem "Navi" Pillay, the United Nations High Commissioner for Human Rights, caught my attention. According to The Associated Press article written by Raphael G. Satter and Jill Lawless and published on TIME.com on Thursday, Dec. 9, under the headline "WikiLeaks Supporters Wage Cyber Wars", "The U.N.'s top human rights official raised the alarm Thursday over officials' and corporations' moves to cut off WikiLeaks' funding and starve it of server space — something she described as 'potentially violating WikiLeaks' right to freedom of expression.'" By this logic, if companies are not allowed to sever ties with individuals and companies that are using their service for illegal activity, than that causes quite a few problems. In full disclosure, I'm not a huge fan of Doctor Who , possibly because I haven't watched enough episodes, but the show deserves praise, nonetheless, for being the longest running science fiction TV show in the world. Its 47th anniversary passed Nov. 23. Since Christmas is near, I thought it would be fitting to show a trailer for the upcoming Doctor Who Christmas special, "A Christmas Carol," which can be seen below. Perhaps I should watch the episode when it comes out since I've been out of the Doctor Who loop for quite some time. What are your opinions of the show? Hands down, I think the best science fiction music videos I've seen are those of Daft Punk's Discovery album (released March 13, 2001). They presented their album to anime creater Leiji Matsumoto, and each track was made into an episode for the movie Interstella 5555: The 5tory of the 5ecret 5tar 5ystem (released Dec. 1, 2003). The film doesn't have any dialogue but rather tells a story of blue humanoid alien musicians who are kidnapped, taken to Earth and made to look like humans. Their memories are rewritten, and they are made into a hit band on Earth called The Crescendolls. One of their kind later saves them from the human captors but dies in the process. Eventually, the world finds out that the band members are aliens and help them to return to their homeworld. Below are the videos for the song "Aerodynamic" (it's the second episode) and "Harder, Better, Faster, Stronger" (the fourth episode). I also added a remix of "Aerodynamic" by Portis Hershey, which contains video footage from the rescue scene of the movie (which originally has the song "Superheroes," the seventh episode). Daft Punk sampled several older songs by other artists to make tracks on the album. For instance, Edwin Birdsong's "Cola Bottle Baby" was sampled for "Harder, Better, Faster, Stronger," and, likewise, Daft Punk's version was sampled for Kanye West's song "Stronger" from the album Graduation . 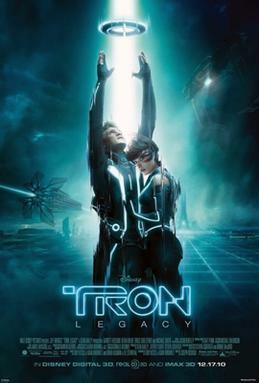 More recently, Daft Punk created the soundtrack to the movie Tron: Legacy . If you drive a lot alone (e.g., more than ten minutes to work), what do you do in that time span? I'm guessing you either (1) listen to music (2) stare at the road in silence (3) talk on a cell phone or (4) text while driving (let's hope not). Have you tried listening to an audio book while driving a boring route? You can probably find a science fiction audio book at your local library to check out. If you're like me, your time is limited for reading books, so the next best thing is listening to them. Below is a funny animation by www.howitshouldhaveended.com called "How The Empire Strikes Back Should Have Ended." There's more to it after "The End." I like Darth Vader's quote to Han Solo at the end. Check it out. On Saturday, Sept. 25, 2010, Ralph Vicinanza, 60, known or being Stephen King 's literary agent, died. According to an article by The Associated Press, he "founded his own agency in 1978 and signed up some of the world's top science fiction and fantasy writers, including Terry Pratchett , Robert Heinlein , Frank Herbert and George R.R. Martin ." I understand he also had represented Isaac Asimov . Apparently, he died of a brain aneurysm. He worked in the publishing industry for nearly 40 years, according to the AP. Click here to read the article. I brought this up because although literary agents are prevalent in the book industry, they don't get much recognition. Of course, authors are more important because they actually write the stories, and the editors are important because they help refine the work, but agents can help authors get their manuscripts published in the first place. It seems Vicinanza had a good eye for talent and should be remembered. It's interesting how Marvel and DC comic book gurus developed into multi-million dollar powerhouses over the years, spawning comic book stories into TV shows, movies, action figures, etc. (so much so that Disney bought out Marvel Entertainment for $4 billion). But how much do you know about the characters' history--when they were first introduced in comic books? Let's take Iron Man for example, one of the most famous science fiction-leaning characters. Below is a quick trivia to test your knowledge about Iron Man . 1. Iron Man comics have long been published by what company? 2. What year did Iron Man first appear in a comic? 3. Who created the Iron Man character? 4. During what war was Tony Stark (Iron Man) injured in the orginial comics? 5. What is the name of the scientist who helps build Iron Man's original armor? If you didn't notice, some answers were in the comic book picture. In my last blog post, I listed some science fiction conventions in Virginia. This blog will cover conventions I know about in North Carolina. I don't plan on listing conventions in other states because I'm not as familiar with them, so feel free to comment and share some that you know. If you are a science fiction writer, conventions are a great way to receive writing tips and to meet authors and publishers. Or, if you don't write but love science fiction, you may like to go to a convention for the costume contests, authors, artists, actors and/or actresses, video games, anime, etc. To help you find the right convention in Virginia, below are some science fiction conventions I know about. They are listed in order of date. I'll list conventions in North Carolina for my next blog. Feel free to post any conventions you know about in other states. Many authors give great writing tips, but oftentimes, they may give so much good advice at once that you don't remember them all. So, below I've highlighted five writing tips that I personally find most useful. I have heard these tips multiple times--and for good reason. You should know them, too. I came across the below video titled "Science fiction - science fact" and wanted to share it. It talks about the impact that science fiction has on real life science. Among the authors it talks about are Arthur C. Clarke and Jules Verne. The video is by the European Space Agency, which says that "Whether it's Star Trek's USS Enterprise, or the iconic space station from 2001: A Space Odyssey, science fiction has always provided inspiration and ideas for the scientists and engineers that design and build real spacecraft."